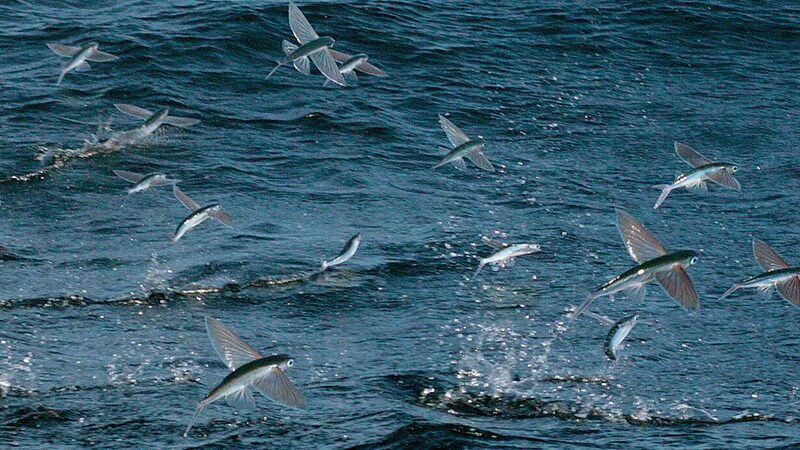 Flying fish is the only fish that can fly or actually gliding in the air in order to avoid their predators. Compared to its body size the distance they can achieve from the glide is considered very far. Even though this behaviour help them to run away from the predators, but their predators too have different techniques to catch this super leapers. Flying fish are family of fish known as Exocoetidae, in the order of Beloniformes class Actinopterygii, with 64 species from 9 genera. They can be found in all of the oceans, mostly in tropical and warm subtropical waters. 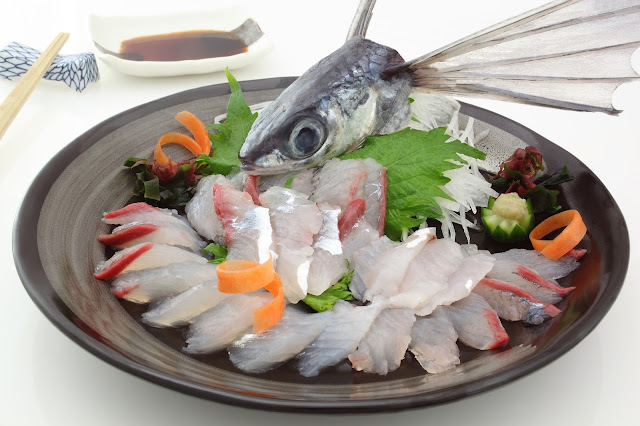 That’s the other reasons why flying fish is quite popular as part of people’s culture all over the world, from Japan, Vietnam, China, Indonesia, India, South America such as Barbados and Trinidad and Tobago. 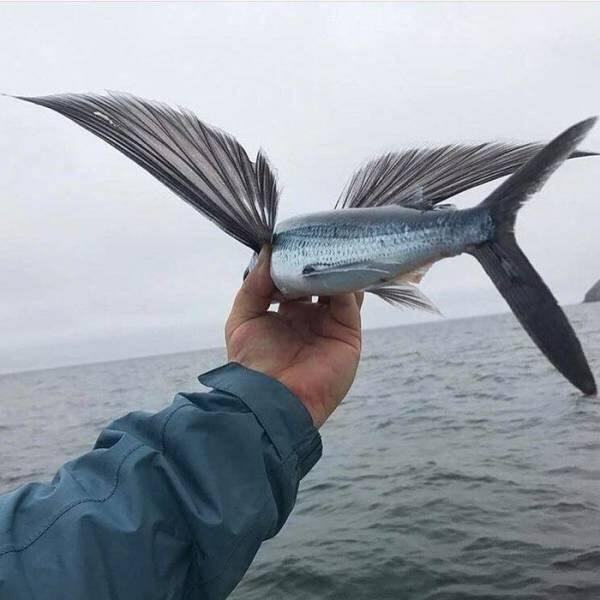 Besides of that, flying fish still can be found in many other areas (even when they are not become part of people consumptions for that areas). 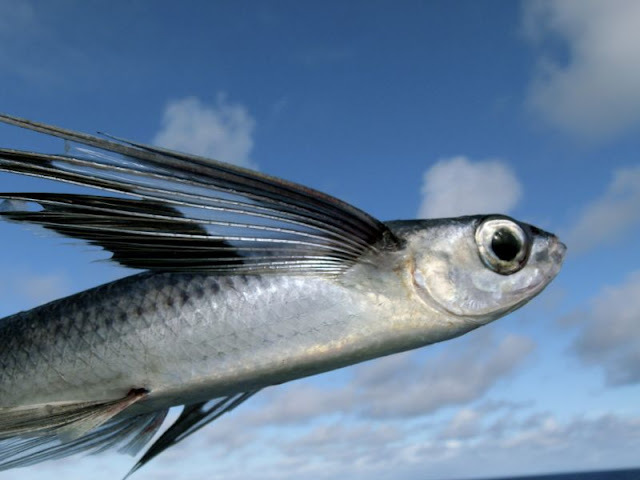 Flying fish can achieve great distance when they gliding above the sea. 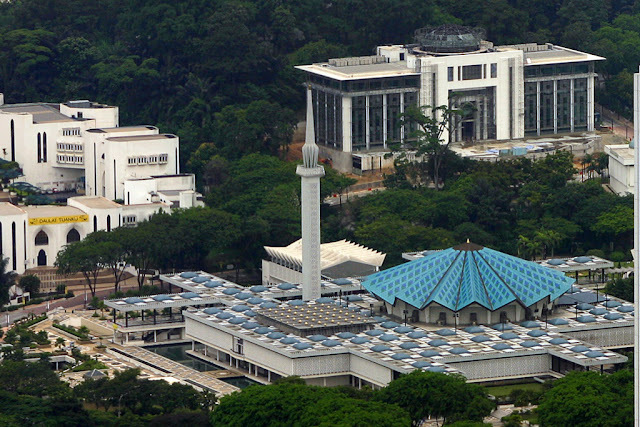 The distance can get farther with the right condition of wave and wind. They can reach up to 4 feet heights and gliding distances up to 655 feet. Sometimes they will continue the jump soon after touching the water to reach longer distances up to 1,312 feet. They also can soar high enough and sometimes get stranded on the decks of ships. 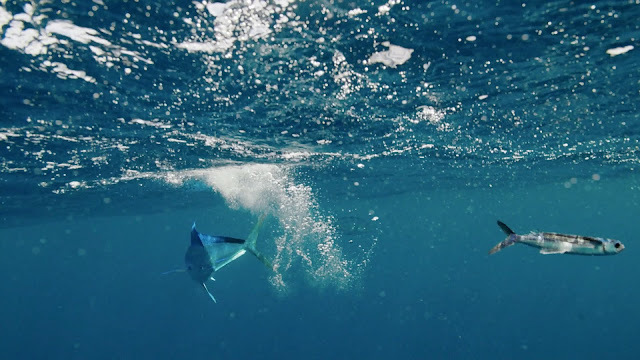 Flying fish become important food source for other bigger species of fish in the sea and when they leap out the water, birds too will take advantage to make them as their food. With their size can reach up to 18 in (45 cm), flying fish is consider moderate in size. 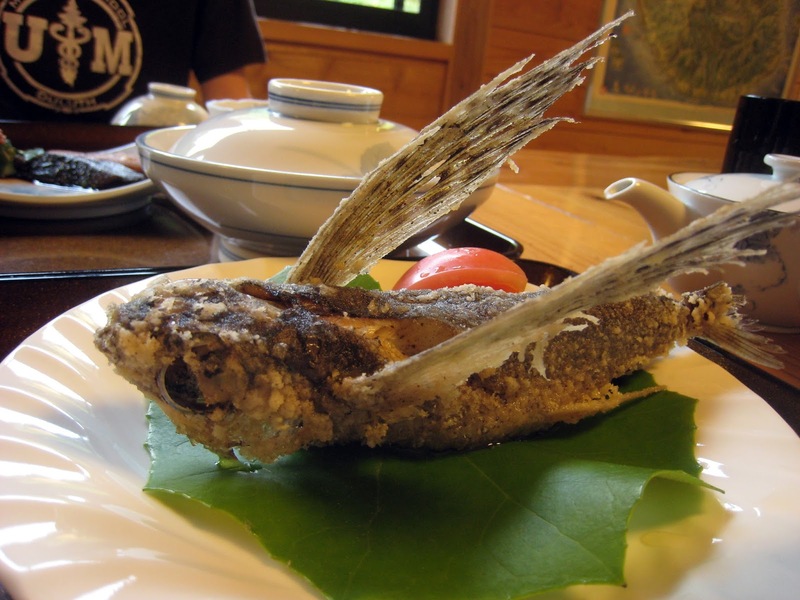 Flying fish had been using in many dishes all around the world. One of the popular dishes is the flying fish sashimi from Japan. Fisherman caught them with different ways such as using gillnetting in Japan, Vietnam and China, while using dipnetting in Indonesia and India. There’s also a technique using lights to catch this fish as they are attracted to the lights (especially during the dark moon). Even though flying fish is not considered as threaten species, their hunting should be controlled in order to avoid overfishing. 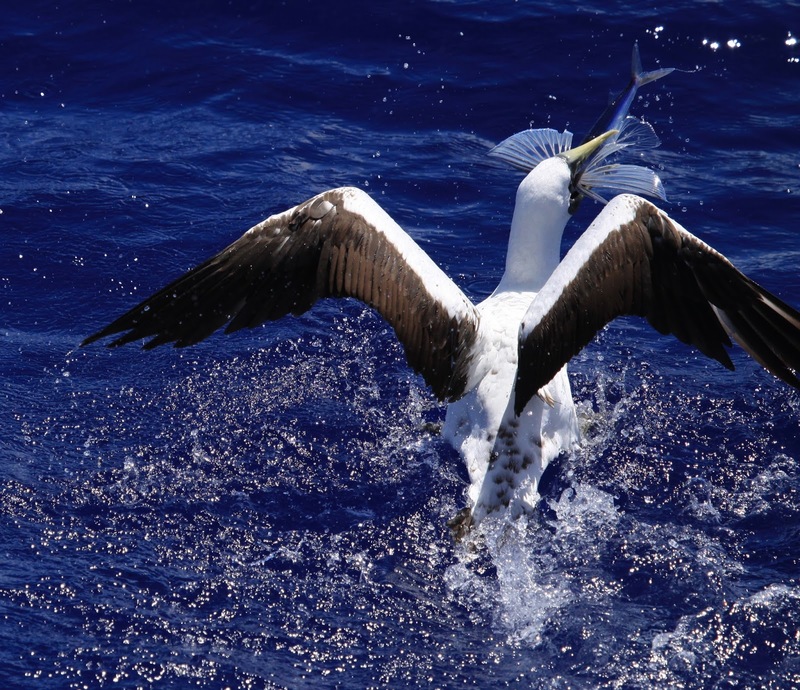 Flying fish is important to human especially in some cultures, but they are more important to the nature itself.